Buying a used car can feel like a little bit of a gamble. Even if you feel knowledgeable about cars and give the vehicle a thorough examination before making a purchase, issues can pop up after the car is off the lot that will suddenly turn a good deal sour. Many used car buyers will opt to purchase a “certified” vehicle, believing that this additional certification will save them from having to worry that the vehicle is in poor condition. When a car has been improperly advertised as having been “certified,” California buyers may have a legal right to compensation if they’ve bought that car trusting in that certification. Learn more about California’s laws on”certified” used cars, and contact a Los Angeles lemon law attorney if you feel you may have been defrauded. What Makes a Used Car “Certified”? There is no universal definition for what makes a used car “certified.” Each manufacturer has different inspection requirements that must be completed on a vehicle before it can receive a designation as “certified.” Many dealers state that their certified used or certified pre-owned (CPO) vehicles have undergone a 100+ point inspection by the factory and will charge a premium for these vehicles over what the car would cost were it not certified. Unfortunately, many vehicles have received only a cursory inspection before being considered “certified,” leaving buyers at risk of encountering serious mechanical issues or even frame damage weeks or months after making a purchase. The car has not been deemed “certified” by the vehicle manufacturer. In order for a vehicle to be considered officially “certified,” the certification must come from the manufacturer of that vehicle and be sold through a franchised car dealer. If an independent lot is selling a car marked as “certified,” this is one way to know immediately that the certification isn’t official. The manufacturer bought the car back under a warranty program. 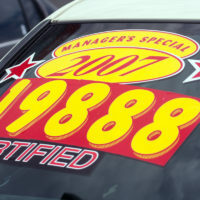 If the car’s manufacturer bought it back as a “lemon” or under another state or federal warranty program, then it cannot later become a certified used vehicle. The car’s frame was damaged. A car cannot be “certified” if the car suffered damage to its frame in an accident or was sold as-is. The buyer didn’t get a full inspection report. Buyers of “certified” used cars in California are entitled to get a copy of the report of the full inspection performed on the vehicle, detailing all 100+ points of inspection, or whatever number was advertised by the dealer. If you believe you were the victim of auto dealer fraud in California, find out if you have a right to take legal action by contacting the knowledgeable and effective California dealer fraud attorney Nick Nita for a free consultation in Los Angeles at 213-232-5055 or statewide at 877-921-5256.